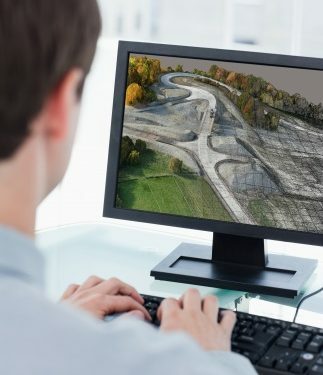 Laser scanning from unmanned aircraft opens the door to more cost effective 3-D mapping and other applications particularly when there is a need to assess dangerous and/or hard-to-reach areas. 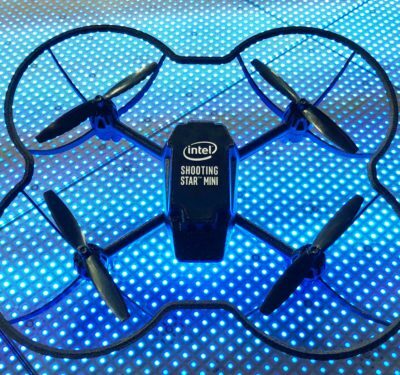 But integrating a high accuracy LIDAR (Light Detection and Ranging) sensor with an unmanned aerial vehicle (UAV) is a complex task. It requires isolating the payload from the flight systems to avoid signal interruptions and incorporating a very precise georeferencing system. 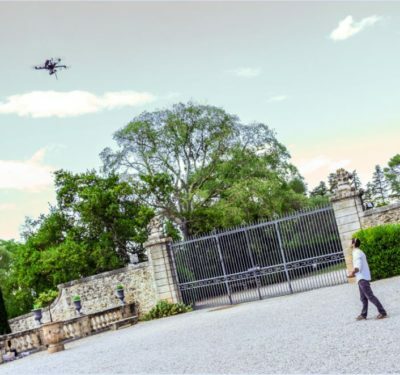 Despite the challenges, LIDAR-equipped UAVs are already capturing the interest of mapping experts such as Qassim A. Abdullah, a senior geospatial scientist and an associate with Woolpert, Inc. Woolpert is a design, geospatial and infrastructure management firm that has been in business for over 100 years. Abdullah specifically mentioned the Velodyne VLP-16 LIDAR sensor and RIEGL’s VUX-1 LIDAR sensor, both introduced in the last year. Velodyne’s VLP-16 is a small, light (600 gram) low cost sensor. 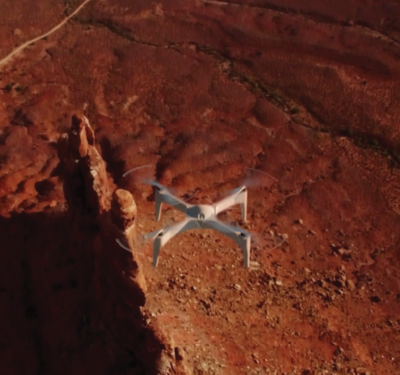 The company says the system has a target range of 150 to 200 meters and can achieve centimeter accuracy, which could make it ideal for users seeking a cost-effective UAV mapping solution. The VUX-1 sensor is also capable of survey-grade accuracy at speeds of up to 200 scans/second and a measurement rate up to 500,000 meas/sec (@ 550 kHz PRR). The 3.6 kg scanner is designed to operate at altitudes of up to 1,000 ft with a field of view of up to 330 degrees. In October, RIEGL unveiled the RiCOPTER, a platform designed specifically for integration with the VUX-1. The remotely piloted aircraft also incorporates the APX-15 UAV GNSS/IMU direct georeferencing board, first introduced in 2014 by Applanix, a Trimble company. Direct georeferencing relies on very high accuracy information on the position and orientation of the imaging sensor (whether that’s a camera, infrared sensor, LIDAR or other device). This is necessary in order to link a pixel directly to a latitude, longitude and elevation within a ground coordinate system. The RiCOPTER with the VUX-1 scanner and Applanix APX-15 IMU is capable of low altitude mapping with absolute roll pitch accuracy of 0.015 degrees and positional accuracy of 0.05-0.3 m on average, according to the manufacturer, making it suitable for a range of applications from agricultural mapping to infrastructure assessments such as mapping power line corridors mapping or scanning structures like bridges. Tailored specifically for small, light UAVs, the Applanix APX-15 GNSS-inertial solution is comprised of a small single, OEM board containing a precision GNSS receiver, MEMS inertial sensors plus post-mission differential GNSS-inertial software. According to the company, the APX-15 eliminates the need to survey extensive ground control points and reduces the amount of image overlap and therefore the number of passes needed—increasing the area flown per mission. The APX-15 can be used for real-time applications, like guidance and control, precision landing, or stabilization, said Doug Long, Applanix’s director of marketing. It is also “orders of magnitude smaller than Trimble’s previous generations of the technology,” he said, meeting the size, weight and power constraints of all but the very smallest of unmanned vehicles. According to the Applanix, the inertial sensors are calibrated using the firm’s SmartCal Compensation technology to achieve the high accuracy required for sensor georeferencing. In real time, the position and orientation solution is available at 5 Hz, and a GNSS base station can be used to transmit corrections to the APX-15 UAV to produce an RTK solution that is accurate at the centimeter level. The APX-15 UAV supports all common corrections and GPS, GLONASS, BeiDou, Galileo, SBAS or QZSS. In addition to the VUX-1 LIDAR sensor, the RiCOPTER can carry up to four high-resolution cameras. It can also support the Applanix AP-20 GNSS/IMU which is larger and heavier than the APX-15, but provides an order of magnitude improvement in orientation accuracy. 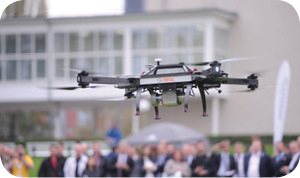 RIEGL successfully demonstrated the RiCOPTER’s stability and control in October at INTERGEO 2014 in Berlin, Germany. “The demo showed the international com-munity that a UAV can have great stability and control. Both are important qualities not only when collecting sensor data, but also when evaluating risk,” said Joshua France, RIEGL’s Mobile Systems Segment manager. Systems like the RiCOPTER are just the beginning for the use of UAV-based LIDAR, said Abdullah.